I’m absolutely in love with my new Alannah Hill flats at the moment. Despite Alannah Hill being my favourite brand for a very long time this is the first time I’ve ever owned a pair of Alannah Hill shoes. I have just about everything else and my weakness is cardigans so whenever I have money it generally goes in that direction. It’s always exciting to own a different item for the first time. I believe these are totally my style; I love the double bows, the statement bright pink and the versatility of the black. It combines many of my favourite aspects in fashion. I have way too many shoes but I simply cannot resist the perfect pair. I bought these at an incredible discount of 65% off the original retail price. I cannot speak highly enough of these shoes and I am so happy to own them now. They are beautiful, gorgeous, pretty and girly. I can’t wait to wear them; I have so many outfits in mind for these shoes. They also come in red and white which was absolutely beautiful too but I already have a similar pair of double bow flats in red and white from Wittner so that’s why I went for the black and pink version. This shoes look amazing. So cool. i like it so much. Very cute! I cannot wait to see you style them up! Lovely flats! I am loving the color. These pointy flats are too cute! loving your blog and especially this post! This is so stunning – I love the mix of colours a lot! Would you like to follow me back? I also made a fb page for my blog!! Aw cute flats! I've seen Alannah Hill stuff I've liked, but it's a little out of my price range! check my blog if you want and maybe we could follow each other on GFC! They're so gorgeous! I love the black and ink together. these flats are perfect! 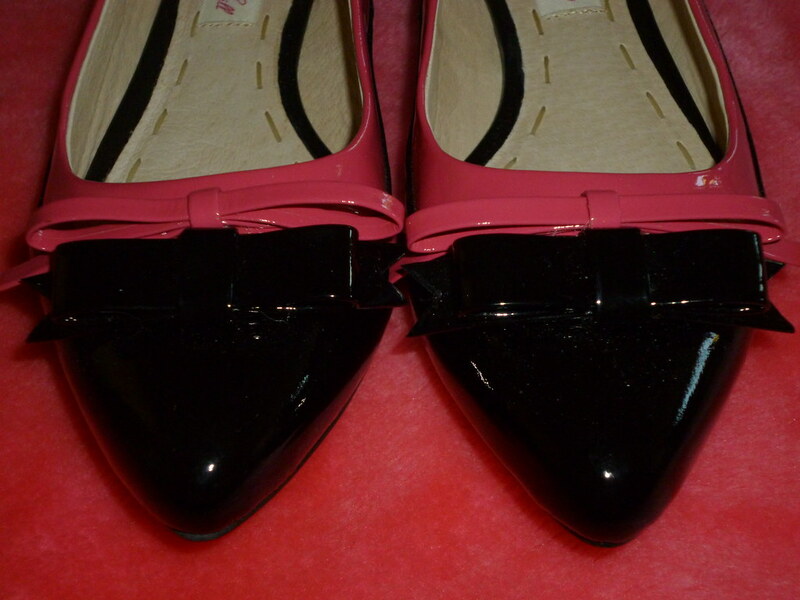 i adore the pointed toe and the pink and black mix! Have a fantastic weekend, Imogen. 65% off, wow, I understand why you should have these. I mean who could have ignored such a discount, they look beautiful! I've never heard of that brand here in Canada. Love your shoes:) Big fan of flats! I love the look (and colour) of your Alannah Hill flats. Is there a chance they're all man made? (I'm a vegetarian). I love the look of the bows on them. Love the bows on the flats!